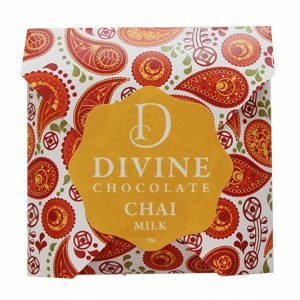 Enjoy Divine Chai Milk Chocolate. 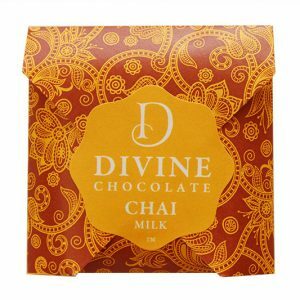 Divine Chocolate (NZ). Cacao 33%. Cacao Beans, Sugar, milk, cocoa butter, cocoa solids, soya lecithin, pure vanilla and chai spice.